In a newly published study, scientists present a new hypothesis on the nature of black holes, challenging the current “clean” black hole model. A black hole. A simple and clear concept, at least according to the hypothesis by Roy Kerr, who in 1963 proposed a “clean” black hole model, which is the current theoretical paradigm. From theory to reality things may be quite different. 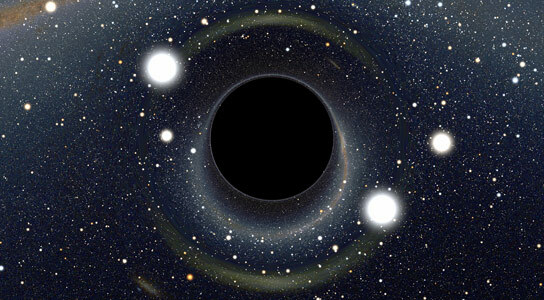 According to a new research carried out by a group of scientists that includes Thomas Sotiriou, a physicist of the International School for Advanced Studies (SISSA) of Trieste, black holes may be much “dirtier” than what Kerr believed. According to the traditional model, black holes are defined by only two quantities: mass and angular momentum (a black hole rotation velocity). Once their progenitor has collapsed (a high mass star, for instance, that at the end of its life cycle implodes inwards) its memory is lost forever. All that is left is a quiescent black hole, with almost no distinctive features: all black holes, mass and angular momentum aside, look almost the same. According to Sotiriou, things may not have occurred this way. “Black holes, according to our calculations, may have hair,” explains Sotiriou, referring to a well-known statement by physicist John Wheeler, who claimed that “black holes have no hair.” Wheeler meant that mass and angular momentum are all one needs to describe them. 12 Comments on "A New Hypothesis on the Nature of Black Holes"
what about the very tiny black holes no one ever talks about them such as the eyes pupil. it would be very tiny but does it not have all the same chateristics of a black hole . the point of which energy is transformed sight to thought and so own . I see it do u . No such thing as a non-rotating black hole, eh? ”Rotation of a blackhole” depends on the definition. Are we talking about rotational accretion disk, or a rotation of the event horizon. This needs too be a little more concise, unless I missed abit of the article? Maybe blackholes are monopoles? Nearly every cosmic body has a rotation from particle to star? Who published this and who wrote this? I am doing a report on black holes and I need to include the publisher/ author in my bibliography or I’ll get an F. Can you please post the author and publisher on this page? The star collapses, makes a black hole. There is a beginning of the black hole with a direction away from this point of view. The other end, where does the black hole go to? When it does built a einstein-rosen-bridge does the black hole from our site connects to another black hole from some other site of the universe? Where is this site? Does it has to be a collapsed star as well? If a comet can have a hair (coma), Sun can have a hair (solar corona), then there should be no surprise the million times heavier Black Holes can also have hair (coma like), since they are also radiating bodies like Sun. This will put an end to some people calling Black Hole as a dummy singularity in space without any powerful content in them drawing even light not to escape. If Black holes can have accretion discs like our Sun, having asteroid belt and planets, or rings of dusts like our gas giants Saturn, Jupiter, Uranus and Neptune, then coma like out growth of emission materials in Black Holes present no surprise. If they are ‘bald’ then only one would be surprised. Even baldness can be probed and it would be having a few hairs sprouting, with the help of powerful telescopes. Thank You. Looks like a toupee to me! Actually, black holes can have electrical charge, too. It was thought they could be fully described by mass, spin, and charge. u mean like a subatomic particle?! was a retoric question. there is 1 model that our universe practices, the small and the big is one , have same structural logic, birth life spam and death cycles, only the circumstances change, not the ideea. u blindfolded scientists, wake up! a pull greater than gravitational force are formed and the magnitute increases with the dispersion of the bodies into paricles resulting into massive energy emission called ‘shock wave’. 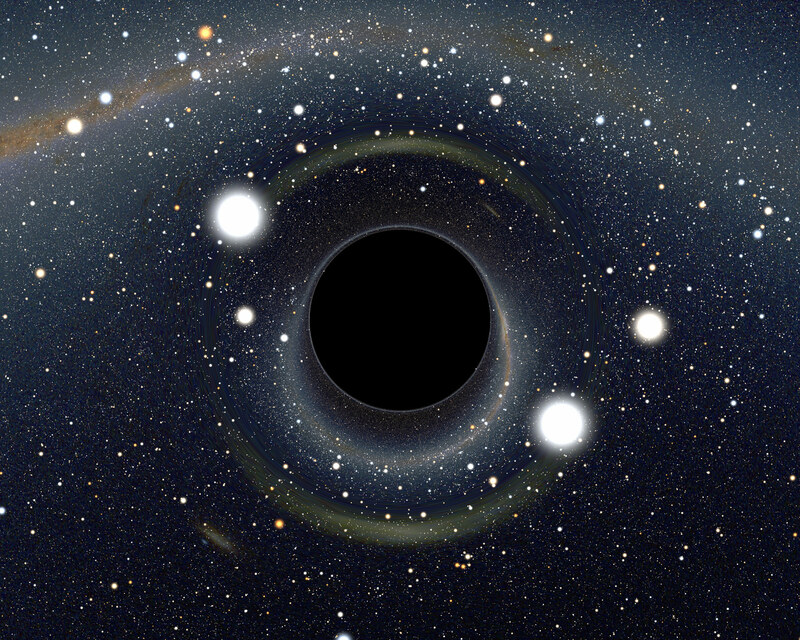 There are smaller/tiny black holes but they rapidly grown larger at an unexpecting rates. supernova(explosion caused due to decaying the star) have came into picture.